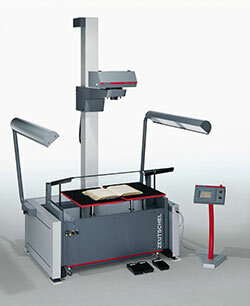 The Microfilm Archives is a registered non-profit association based in Dortmund. Its job is to film the printed press, in particular daily newspapers; to promote microfilm and coordinate its use with member institutions; to collect and store microfilm and to arrange duplications (30m rolls). 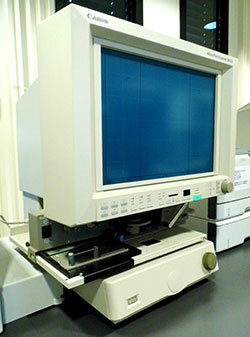 The small profit realised by the sales of duplicate film is used to store material on microfilm, to run the office and to publish the print version of the microfilm catalogue. The MFA also maintains a register of film logs. These logs provide detailed information on missing segments or other anomalies noted during the filming process or occasioned by it. Since 1999 the Microfilm Archives of the German Press Association has published an annual magazine called the Zeitungs-Mikrofilm-Nachrichten which it sends out free of charge. The MFA also hosts a public symposium at a different location every year. 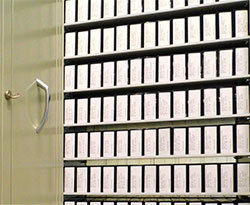 The Microfilm Archives was founded in Hamburg in 1965 and today has both individual members and institutional members. The latter are renowned libraries, archives and academic institutions which wish to have their newspaper and periodicals collections safely preserved on master film. Although most of our custom comes from archives and libraries, individual users may also place orders with us. Please note that you will need a microfilm reader. These devices are commonly available in libraries and archives. Many microfilm readers allow users to make paper print-outs, or to scan documents and save them to a USB flash drive. Microfilm is particularly well suited to the reproduction of newspapers. It saves space and can easily be duplicated and sent by post. Master (original) film is not released to ensure its long-term durability; instead the MFA supplies duplicate film, that is, copies of microfilm rolls, on demand. The filming is carried out by certified, specialist companies in compliance with the industry standard DIN 19057. Original copies of newspapers are often difficult, sometimes even impossible to access. This is not only true of the first newspapers printed back in the 17th century. Furthermore, newsprint has not proved durable, especially that in use since the 1860s, and the conservation and use of newspapers manufactured since the introduction of machinery and rotary printing has become more and more difficult. The option of preserving newspapers on microfilm has therefore been welcomed by librarians and archivists everywhere. This process also allows for the assimilation of incomplete collections of newspapers from various sources into one complete series, which can then be filmed as a whole. Rolls of microfilm can easily be sent out via interlibrary loan, this otherwise being unviable in the case of newspapers due to their size and weight. And, finally. 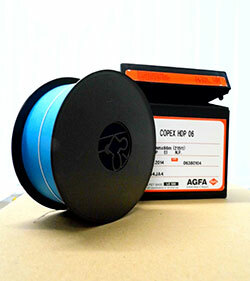 microfilm lends itself to the making of good-quality, low-cost paper or digital copies. After filming, the hard copies of newspapers can be taken out of service and stored away carefully. By maintaining both silver halide master film (with its life span of approximately 500 years and ability to be re-copied) and separate diazo or silver positive working film, newspapers, once filmed, can be preserved over several generations. Microfilm does not need sophisticated storage facilities but can be kept in the same conditions in respect of temperature and humidity as those of conventional library repositories. Since diazo films tend to attract dust, they should be stored in sealed containers. Digital copies are not sold by the Microfilm Archives. In accordance with our statutes and the laws of copyright, intellectual property and data protection we sell only in analogue form. Nor do we offer paper print-outs.